Shop for holiday gifts at one of the most beautiful outdoor markets in NYC. 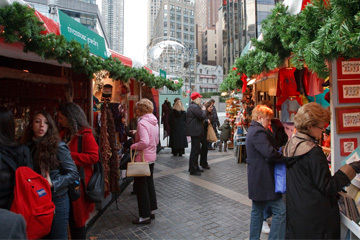 The Columbus Circle Holiday Market is located at 59th Street and Central Park West, near the southwest entrance of Central Park. Shoppers can find special items such as handmade wooden puzzles, clothing and accessories from up-and-coming designers, and delicious bites from many local food vendors. 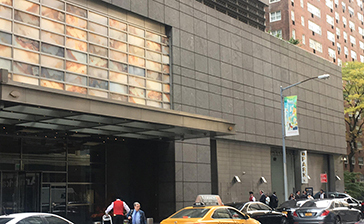 Convenient parking is available near the Columbus Circle Holiday Market. 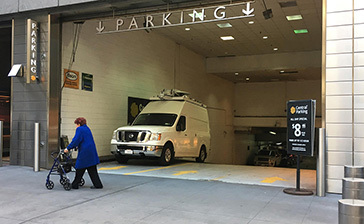 Click on a location listed in the map for more information on parking or to reserve a guaranteed parking spot.